Watching films and series is one of your favourite things to do. 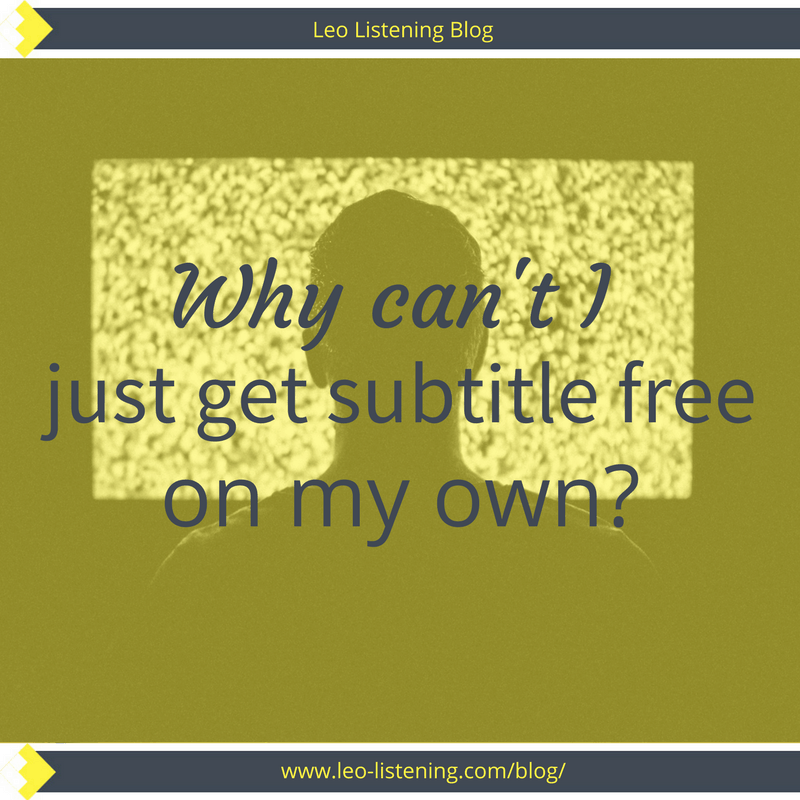 So surely, getting subtitle free is just a question of spending enough time on Netflix? I mean, once you’ve binge-watched enough series, you’ll have a breakthrough one day and won’t need the subtitles any more. Right? It’s what we all hope for, isn’t it? If you just continue doing what you love, watching series or films in English every evening, one day everything will fall into place. Everything will magically click in your brain and the subtitles will disappear. If only real life were like the movies. 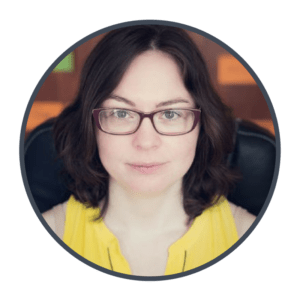 You’d be the hero of your own story and solve your subtitle problem. All within the 2-hour timeframe of a feature film. But you know from reading this blog that just listening is not enough. It’s an illusion. You think you’re making progress, but in reality, you’re going round in circles. Plus, you’re a classic introvert. Your dream Friday night is hanging out by yourself in front of your laptop watching old episodes of Gilmore Girls. But when you’re on your own trying to understand without subtitles, you want to smash up your laptop and just read a novel instead. You didn’t catch that bit, so you rewind. You listen again, but you still don’t know what they’re talking about. You panic, but you don’t want to put the subtitles on, because you have an advanced level. Subtitles are for babies. Or wimps. Not you. And what’s worse: you think you’re the only one is this situation. In your country, you’re the one who’s mastered English among your friends and family. They know you watch series in English. You’re the English-speaker in their circle. To them, you’re a linguistic genius. They wouldn’t get it if you started talking about how hard Lorelai Gilmore is to understand without subtitles. Especially after she’s had a couple of coffees. You’ve got no one to talk to. When you go online looking for help, you can’t find it. No-one’s talking about the subtitle struggle. As an introvert and someone who hated group projects at school and uni (guess who ended up doing all the work? ), I get it. You want to hang out by yourself. Well, you plus the fictional characters you’re watching. You want to escape into a magical world, be it Westeros, contemporary New York or Edwardian Britain. But reality catches up with you when you realise the dialogue is impossible to catch. So, instead of struggling on your own, why not find your tribe online, in a place where people get you. love TV series too, but want to throw their laptop out of the window most weekends. need the subtitles, but feel bad about it. have a high level of English, but no-one to talk to about what they’re going through. Of course, if you want you can get rid of the subtitles yourself. But it might take you a few years. You’ll give up a few times. You won’t know what you’re supposed to do to improve your situation. And you won’t have anyone to talk to about it. That’s why I want to bring a group of subtitle freedom fighters together this October to watch a scary film or series in time for Halloween. You won’t have to do any “group work” like in high school. The bonus is the group space to hang out in, ask questions and get support. I’ll be in there over the 4 weeks giving you extra support, answering your questions and helping you with difficult dialogue or complicated cultural references. You’ll realise that everyone struggles with the same things. And the benefits extend beyond the course and group. If you want to get subtitle free on your own, that’s great. 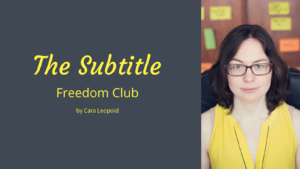 If you want my support and that of a group of like-minded subtitle freedom fighters, click here to find out more and join us for Subtitle Freedom Fighters. I’ve got 10 spots available and the deadline for enrollment is Friday October 13th at midnight. See you on the other side, subtitle freedom fighter. Cara this is so true. 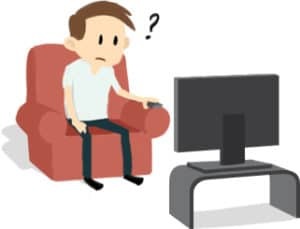 It’s funny because just this week, I noticed my husband has gone subtitle free–He first started watching English language TV when we moved to the States in 2002, continued for 6 years while we lived there and it’s practically all he watches here in France. Plus, he has a native speaker watching with him (me) some of the time (although I’m more of a book person!) So he has someone there to give cultural references or just to tell him–“No, it’s not you, I don’t understand it either!” That’s more than 15 years (and he lived in the US and is married to an English speaker). I guess my point in all of this is, you CAN do it on your own. But it will take a long time ;). Even for me, I’d say it took about a decade to really enjoy TV and Films in French. Hi Trisha. Oh really? I thought he didn’t want to! Wow, that’s an amazing story and shows just how long it can take on your own. It is a long process. I haven’t had TV the whole time I’ve been in France, but I think I adapted pretty quickly, especially when I moved in with my partner. He insists on having the TV on in the background all the time. And he makes me watch the same silly French films all the time – the ones that are on TV every 2 weeks! It helps.